With today’s students expecting immediacy in all interactions—including financial services—technology tools lower wait times, eliminate long lines, and often reduce costs. “Before we opened Drexel Central, students would come into the bursar’s office with a question about their bills. They would be logged in and then wait until a representative was available,” recalls Amy Bosio, vice president, finance, Drexel University. To eliminate this back-and-forth game, which nobody enjoyed playing, Drexel used a combination of automation and process improvement to open its one-stop shop, Drexel Central, in July 2013. New phone scripts with a single point of entry now allow callers to choose automated information or to speak to a student representative. 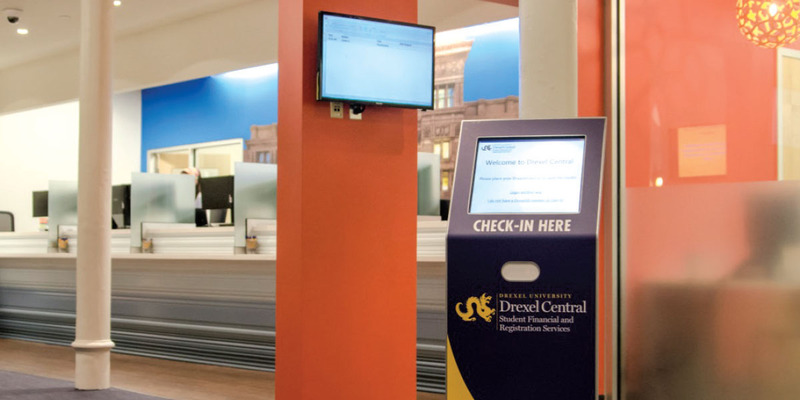 A self-service check-in kiosk features RFID DragonCard scanning that automatically opens a new incident in Drexel’s CRM RightNow to place the student in a queue to see the next student services representative. A customized dashboard screen pulls into a single location the most commonly searched Banner information to resolve student questions, and links to the student ID photo for ease of identification. Drexel is not alone in using technology to transform the way students and families interact with billing, cashiering, financial aid, and registration services. Institutions everywhere are looking at technology solutions for their student information systems, customer relationship management software, and telephone systems. To meet the challenge, the institution has embraced numerous service enhancements, including the NemoQ queuing system, which allows students to text from anywhere—class, student apartment, or dorm—and reserve a space in line at the institution’s one-stop shop for financial aid and student business services. The queuing system first experienced a trial run at the end of the spring 2013 semester and went into full production for summer 2013. Blakney agrees. “When you focus on students, the technological advances seem to fall into place,” she concludes. When they wanted to improve the quality of customer service received by students, the senior academic and administrative leaders at New York University (NYU), New York City, turned to a team of tigers. StudentLink (www.nyu.edu/studentlink) is a one-stop resource for questions and information related to each of the Tiger Team departments and includes links to other websites, such as the student resource center, health and wellness, and student employment. Students can bookmark the page for quick access to the links they frequently need. ServiceLink, a new customer tracking and resolution tool, allows a staff person to input the student’s question or issue and electronically assign it to the appropriate person or department for resolution. Automated e-mail and tracking numbers keep the student informed. NYU introduced the online mechanism in July this year. “When a student sends an e-mail to the bursar’s office, a ticket is automatically created and recorded in the ServiceLink system,” Hung explains. “The student gets an automated response confirming that we received the e-mail, and we provide a service level agreement indicating they can anticipate a response in one to three business days. Back in 2003, the University of Cincinnati (UC), Ohio, became one of the first institutions to adopt the one-stop model, asserts Ken Wolterman, bursar. “One of my goals is for that office to be the only one that communicates with students, so they know when they get an e-mail from One Stop it should be the one thing they make sure they read because it will have important information for them,” he says. The customer service center, which reports to enrollment management, represents the offices of registration, student records, student accounts, and student financial aid. One Stop employs 17 staff members, including three managers, to service 43,000 students. “The idea is that students come in and take care of other business without being shuffled from one office to another,” says Wolterman, admitting that it’s a lot of information for One Stop representatives to remember. That’s one reason that a vendor featuring a customized e-messaging system at a NACUBO conference intrigued him. As he talked to representatives at PointAcross Solutions, Wolterman wondered if he could adapt the product to demonstrate his institution’s complicated processes—sort of a show-and-tell for students and parents. Since then, the institution has released nine customized videos—with more in the works—that cover such subjects as paying bills, calculating financial aid, using direct deposit, maintaining loan eligibility, setting up a payment plan, obtaining health insurance, avoiding late fees, and dropping classes. University of Cincinnati’s Ken Wolterman advises business officers to equip their one-stop centers with the latest high-tech advances. Institutions are looking at technology solutions for their student information systems, customer relationship management software, and telephone systems. DANA AARON, managing director and CEO of Aaron & Associates, previously served as vice president with Sodexo USA, and at various institutions of higher education. That’s an everyday scene at Drexel Central, where customer service representatives are equipped with two computer screens and a tablet. One screen flips and faces outward to the student. White noise and separation panels offer privacy while Karen discusses her financial status with a customer service representative. For those situations that require further discretion, huddle rooms are situated nearby. “In these types of situations, people feel more comfortable in a room rather than standing at a teller’s station,” Bosio explains. 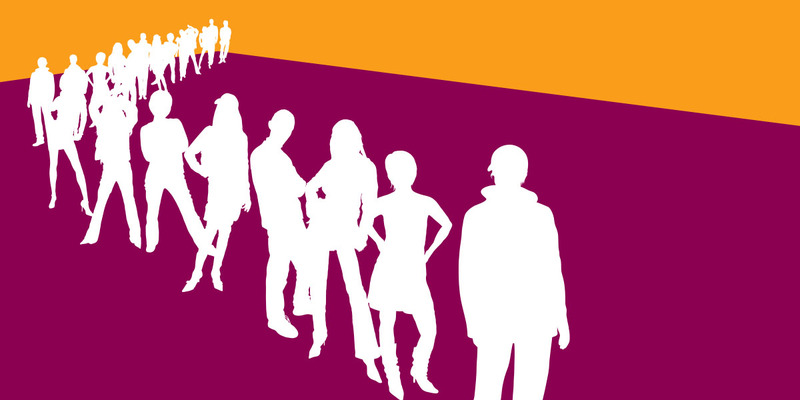 Discover new strategies and solutions as well as best practices at NACUBO’s Student Financial Services Conference, in Atlanta, March 22–24, 2015. Full of content and updates, this conference offers learning and networking opportunities for SFS professionals at all levels. At the core of the conference is a robust collection of concurrent sessions. A panel of students will share not only their preferred methods of communication with offices on campus, but also what they want to hear—and what they can do without. Learn how to eliminate the clutter and find ways to effectively and efficiently share key information with students. Hear how one university is using institutional data based on its students’ finances in combination with predictive indicators to enhance recoveries of delinquent student accounts. Find out how another institution redefined its cashier office by implementing mobile bill payments and eliminating cash transactions. In a general session, Helen Fisher, biological anthropologist at the Department of Anthropology, Rutgers University, New Brunswick, N.J., will explain and explore the biology of leadership. For more information on Fisher, see NACUBO Notes. In the Expo Hall, you will have the opportunity to meet with representatives from more than 30 companies that provide services to SFS offices across the nation. You will also find opportunities to network with colleagues throughout the conference. Additionally, several roundtable discussions will allow attendees to share ideas and best practices. For those new to student financial services or for those wanting just a refresher, the Bursar Fundamentals program on March 22 provides a comprehensive look at the role of the bursar on campuses—large and small. Attendees will gain a better understanding of student accounts—including invoicing, aid, payments, and collections—as well as loan administration techniques, customer service strategies, and federal regulations. 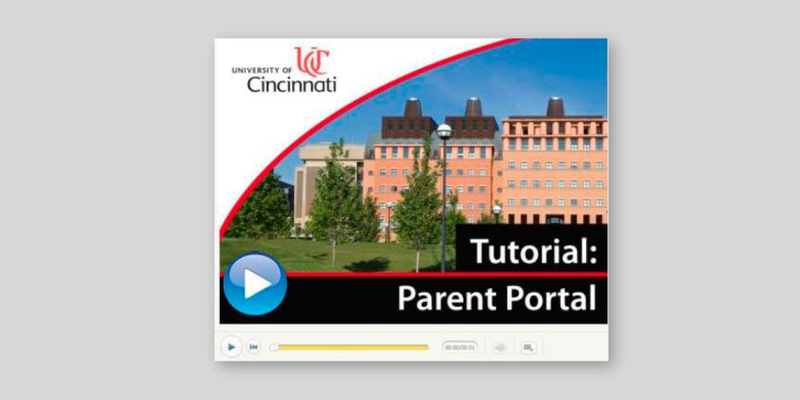 Two years ago, the University of Cincinnati, Ohio, resolved that problem by creating a parent/friend portal that works like this: Parents can go online and create an identity, and the student can delegate authority for whatever information he or she wants the parent to see online. “Parents can log on with their own secure credentials and retrieve a student’s grades, health insurance status, schedules, bills, and direct deposit refunds,” explains Ken Wolterman, bursar. The last time Wolterman checked, the portal contained names and identities of about 6,000 parents or friends, still a far cry from the number you’d expect from an institution with 43,000 students. He doesn’t expect to see dramatic increases in that number until the university graduates juniors and seniors, who have already filled out paper FERPA waivers for parents.